With Dubai’s affordable housing programme getting a major fillip following the government’s strong support – and given that an increasing number of developers are looking at provide such housing schemes – Dubai’s southern districts, where most of the low-cost developments are coming up, are set to witness a sharp growth in the working class population. Dubai’s low-cost housing initiatives, gaining momentum since the recent approval of the low-income housing policy by the government, is also having a knock-on effect in the Northern Emirates. 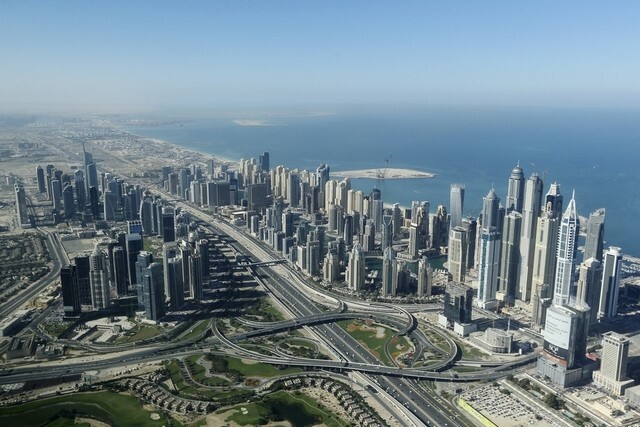 “A spate of new affordable housing projects coming up in Dubai’s southern parts is set to trigger a reverse migration to Dubai, leading to sharp falls in rents in Sharjah and Ajman. Over that, some landlords are even offering monthly payments and rent-free periods to retain tenants,” said A Najeeb, managing partner of M.S. International Real Estate. Dubai’s new housing policy, which aims at providing residential units for low-income working people while renovating some old areas, classifies low-income people into Emiratis and non-Emiratis, in strategic sectors in Dubai. The policy will also include families’ income levels, place of residence and public benefits and will compare them with current requirements and the challenges faced by the families. According to analysts, the domino effect of the new affordable housing projects – mostly located in Jumeirah Village Circle, Dubai South, Al Furjan, IMPZ, International City, Dubai Sports City, Studio City, and Dubailand – will be felt across Sharjah an Ajman, from where a reverse migration of the working class will eventually take place. This will lead to nose-diving rents, lower property prices and overall ease of traffic, realty analysts said. In 2012-2014, on the back of a sharp rise in rents across the residential districts in Dubai, there has been a consistent geographical shift of the mid- and lower-income segment to the fringe locations or to the Northern Emirates. “This trend is soon going to reverse, as thousands of affordable units are made available in the southern parts of Dubai,” said Najeeb. The tens of thousands of the working population now commute daily from Ajman and Sharjah to Dubai, will eventually shift bases to the southern parts of the Dubai – closer to their workplaces – which means the number of cross-emirates commuters will drop drastically. This means lesser money will be spent on petrol and car maintenance, and eventually, even the health problems caused by long and exhausting hours behind the wheel, a property market analyst said. It will result in an overall improvement in the quality of life. They said the upcoming extension of the Dubai Metro will connect the Nakheel Harbour and Tower station to the Expo 2020 site, further enabling the lower income segment to explore affordable options. This is likely to encourage occupiers to migrate to developments such as DIP and DubaiLand, where they can find newer apartments which are also accessible to the rest of the city. According to John Stevens, managing director of Asteco, there will be further decline in rents in Sharjah and Ajman in 2017, if the supply of affordable property continues to stifle demand in the Northern Emirates. “Sharjah and Ajman are expected to experience more downwards pressure on rates, in comparison to Ras Al Khaimah and Umm Al Quwain,” said Stevens. In 2015, the Dubai Municipality, as part of a major initiative, defined affordable housing for the first time as a “living space for people whose salary is between Dh3,000 to Dh10,000 per month.” The civic body allocated over 100 hectares of land for affordable housing in Muhaisnah 4, Al Qouz 3 and 4, mostly to meet the demand for dwellings for people in this income category. The developments will house more than 50,000 people. Other steps taken on affordable housing included a voluntary system for developers to set aside at least 15 per cent of units for lower-income use. When mandatory, this policy is known as inclusionary zoning. A research paper from Core, the UAE associate of Savills, said few of the homes being built by the private sector in Dubai branded as “affordable”, are actually within reach of lower-income families. “Typically, for homes to be considered affordable, those paying for them should spend no more than 30-35 per cent on housing expenses. However, most homes being branded as affordable by private sector developers are out of reach in price terms, with even the cheapest properties tending to start at prices of around Dh500,000,” it said. David Godchaux, chief executive of Core, pointed out that developers faced a number of issues when building for lower-income families, with land purchase prices among the most significant. Godchaux said lower-income households would struggle to raise the necessary borrowing from banks. Lower loan-to-value ratios introduced in 2013 to stabilise the market would mean that a buyer requires a deposit of 25 per cent before gaining a mortgage. This means that they have to save Dh125,000 as a downpayment to afford a Dh500,000 home. Analysts argued that apart from a law by the Dubai Municipality requiring private developers to include up to 15-20 per cent of affordable housing within new projects, public-private partnership schemes where government provides land for free in a bid to lower housing costs, might provide an impetus to the affordable segment of the market. “Affordable housing is a fundamental urban issue faced by most of the global cities and the quantity and quality of this residential strata greatly shapes a city’s growth, scalability and sustainability,” they said.